These Chocolate Chip Cookies Have 2 Extra Ingredients That Set Them High Above The Rest! Chocolate chip cookies are my nemesis and my BFF. Love them and hate them for the fact that I have no defense against them. Sea salt and tahini! Salt basically makes food taste more like what it is. Why not add more salt and make your cookies taste more “cookier”? 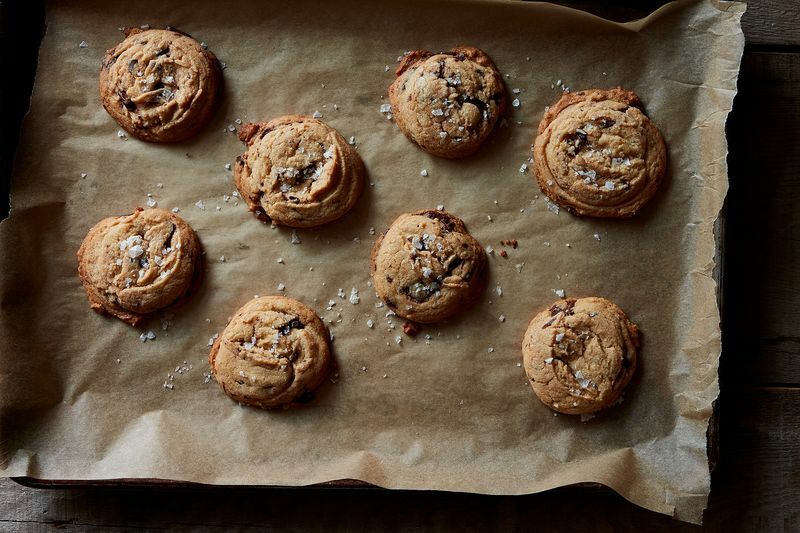 A sprinkle of flake salt over your finished cookie will make them look and taste like they came from a famous bakery. Tahini is like a cousin to peanut butter which adds a creamy and nutty flavor and a crunch like halavah (an amazing sesame bar) which no other chocolate chip cookie will have. To learn more about why these two secret ingredients make such a difference, check out the full post at food52. What is the secret ingredient in your cookies?